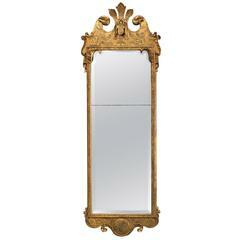 A superb pair of early 20th century carved giltwood pier mirrors in the Regency style. 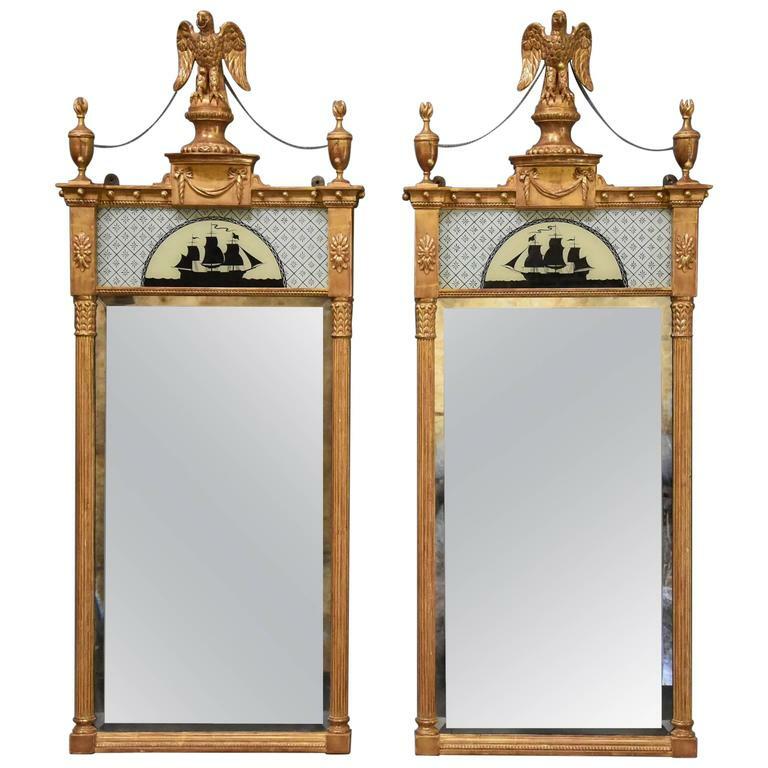 This pair of mirrors consist of a finely carved eagle to the top supported by a carved dome topped pedestal with gadrooned edge leading down to a bow form moulding with carved bow and swag decoration below with carved brackets to either side. 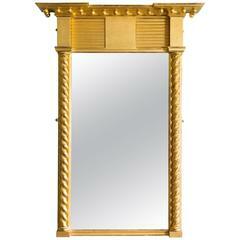 To either side of the eagle is a finely turned and carved urn with flaming finial, the eagle and urns being linked with a draped chain with gilt ball decoration. 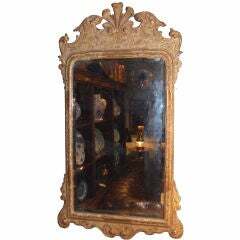 The top of the frame has a moulding with gilt ball decoration below and ball bead moulding with carved paterae to either side with a central painted panel depicting a classical Clipper ship from the 19th century with painted lattice decoration with ball bead moulding below. 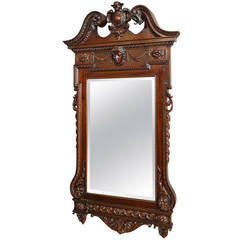 The uprights consist of finely carved leaf decoration to the top with fluted columns leading down to a carved block below, the beveled mirror plate is in good condition and on the reverse the backs are paneled. 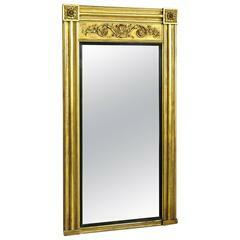 This highly decorative pair of mirrors are in excellent condition for age and can go straight into a home. 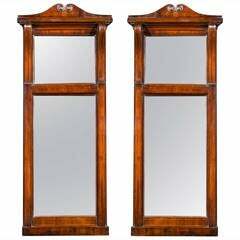 Pair of Regency period pier mirrors, the top section with replacement plates, the supports with fine line boxwood inlay. 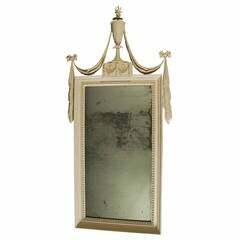 Beaded giltwood edge with outer mirrored frame, beveled central glass with some oxidation. 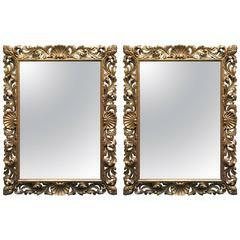 Attractive pair of Roman Baroque style finely carved giltwood rectangular mirrors with shell and acanthus leaf motif, circa 1900.